In 1957, Shiny took its first step into the industry of rubber stamp manufacturing. Over the years, with the strong support of its clientele and staff, it has established a name for itself in the worldwide stamp making industry and enjoyed a year-on-year growth. 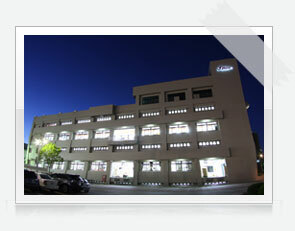 Today, Shiny Stamp is the proud owner of a four-story high building, complete with a fully automated warehouse. It uses manufacturing equipments of the latest technology to ensure high product quality that its clients have come to recognize and expect. In 2004, in order to increase the productivity and provide our staff a better working environment, Shiny began initial planning to expand production facilities. he 6,326 m² new plant was constructed in 2005, and ran full operation in early 2006. Shiny consistently seeks to improve its quality and efficiency, and provides our clients with a competitive pricing policy. We continually strive to improve working conditions, encourage the development, training and utilisation of skills, and ensure that all of our staff have the opportunity to improve quality throughout the company. A great deal of capital and manpower has been invested into this area over the years. As a reward to our efforts, in July 1998, Shiny was awarded the ISO 9002 Certification. By complying environmental standards, and focus on preventing pollution in advance as well as executing efficiently use of energy and raw materials from planning and development throughout the production process, Shiny received the ISO 14001 in 2009. With commitment to innovation and development, following the success of Handy Stamp Line, Shiny constantly introduces new sizes and colors to fulfill customers' different needs. In 2004, to provide more choices and to help users to work smarter, Shiny launched the New OA Pre-Inked Line, available in single- and two-color. In 2005, Shiny successfully launched the Premium Printer Line to the market during Paperworld Frankfurt 2005 and has received very good feedbacks from customers. We believe that with the professional layout of our products, equipped with a firm structure, excellent impressions and easy operations, we will be able to provide our clients with maximum satisfaction. Our team of specialists will ensure that Shiny's standards are efficiently achieved and firmly grounded in the company philosophy : service, quality and innovation. We will strive towards further product and technological advancements, and we appreciate your continuous support.